Écrans et panneaux LCD pour ordinateur portable 16/9 11,6"
Notebook manufacturers use different types of screens when assembling a single model of Laptop. Aspect ratio:FHD, Wide screen LED Backlight - The led is basically one Flat Golden connector that plugs at the bottom right of the screen. Screen Type:LED LCD. Aspect Ratio :WXGA HD Wide screen LED Blacklight- The LED connection is a single flat connector that goes at the. 8,000 Laptop Screen Part Numbers Listed. Screen Finish:Matte / Anti-Glare. Notebook manufacturers use different types of screens when assembling a single model of Laptop. Aspect ratio:HD WXGA, Wide screen LED Backlight - The LED connection is a single flat connector that goes on the back of the screen. Aspect ratio:WXGA, Wide screen LED Backlight - The led is basically one Flat Golden connector that plugs at the bottom of the screen. Screen Type:LED LCD. This norm dictates an acceptable 2-5 dead pixel. Genuine HP Envy X360 11-AA 11-AB Series Touch Assembly Panel. Type: Touch Screen LCD Display Panel with Bezel. Resolution: 1366 768 HD. Compatible Model: HP Envy X360 11-AB Series. LCD Connector: 30 Pin. Notebook manufacturers use different types of screens when assembling a single model of laptop. Type:Laptop Screen. Resolution:WXGA HD (1366 x 768). Laptop Screens. Laptop Adapters. Laptop Hard Drives. Notebook manufacturers use different types of screens when assembling a single model of laptop. Resolution:WXGA HD (1366 x 768). Type:Laptop Screen. Screen Size:11.6". This norm dictates an acceptable 2-5 dead pixel. Aspect Ratio :WXGA HD Wide screen LED Blacklight- The LED connection is a single flat connector that goes at the. Screen Type:LED LCD. Resolution:1366 x 768 Pixels (WXGA HD). 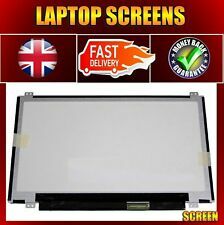 8,000 Laptop Screen Part Numbers Listed. Screen Type:LED LCD. This norm dictates an acceptable 2-5 dead pixel. Aspect ratio:WXGA, Wide screen LED Backlight - The led is basically one Flat Golden connector that plugs at the bottom of the screen. Resolution:1366 x 768 WXGA Screen. Notebook manufacturers use different types of screens when assembling a single model of Laptop. This norm dictates an acceptable 2-5 dead pixel. Aspect ratio:HD WXGA, Wide screen LED Backlight - The LED connection is a single flat connector that goes on the back of the screen. Model Part No: B116XW03 V.0. Make: AUO OPTRONICS. 11.6" 1366x768 LED. Pin type: 40 PIN. 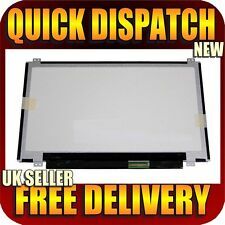 Genuine 11.6" B116XTN02.3 HD LED LCD Screen Panel For Acer Chromebook C720. Condition is Used. Dispatched with Royal Mail 2nd Class. Notebook manufacturers use different types of screens when assembling a single model of Laptop. Screen Finish :Glossy/ Shiny. Aspect ratio:HD WXGA, Wide screen LED Backlight - The LED connection is a single flat connector that goes on the back of the screen. Screen Finish :Matte or Anti Glare. Screen Type :LED LCD. 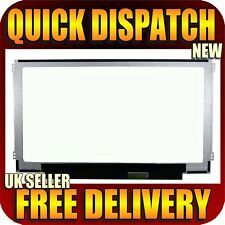 Aspect ratio:HD WXGA, Wide screen LED Backlight - The LED connection is a single flat connector that goes on the back of the screen. This norm dictates an acceptable 2-5 dead pixel. Aspect ratio:HD WXGA, Wide screen LED Backlight - The LED connection is a single flat connector that goes on the back of the screen. Resolution:1366 x 768 WXGA Screen. Screen Finish :Matte or Anti Glare. Aspect ratio:HD WXGA, Wide screen LED Backlight - The LED connection is a single flat connector that goes on the back of the screen. Screen Type :LED LCD. This norm dictates an acceptable 2-5 dead pixel. Screen Finish:Glossy / Shiny. Aspect ratio:WXGA, Wide screen LED Backlight - The led is basically one Flat Golden connector that plugs at the bottom of the screen. The Picture above is to show you where the connection is on the screen. The Backlight remains in the machine. Notebook manufacturers use different types of screens when assembling a single model of laptop. Laptop Dc Jack. Type:Laptop Screen. Laptop Screens. Laptop Adapters. Notebook manufacturers use different types of screens when assembling a single model of Laptop. Screen Finish :Matte or Anti Glare. Aspect ratio:HD WXGA, Wide screen LED Backlight - The LED connection is a single flat connector that goes on the back of the screen. Notebook manufacturers use different types of screens when assembling a single model of laptop. Laptop Dc Jack. LCD Glass:Matte / Non-Reflective Surface. Type:Laptop Screen. Laptop Screens. Laptop Adapters. Notebook manufacturers use different types of screens when assembling a single model of Laptop. This norm dictates an acceptable 2-5 dead pixel. Aspect ratio:FHD, Wide screen LED Backlight - The led is basically one Flat Golden connector that plugs at the bottom right of the screen. Compatibility :Asus Zenbook UX21E Assembly. Item Includes :LED Screen Front Glass Digitizer Assembly. 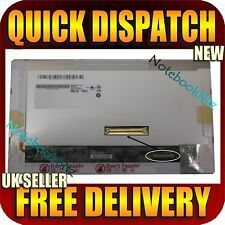 8,000 Laptop Screen Part Numbers Listed. Screen Type:Glossy /Shiny. Straight from the factory and sealed in anti-static protective sleeve. Aspect ratio:HD WXGA, Wide screen LED Backlight - The LED connection is a single flat connector that goes on the back of the screen. The Picture above is to show you where the connection is on the screen. Aspect ratio:FHD, Wide screen LED Backlight - The led is basically one Flat Golden connector that plugs at the bottom right of the screen. The Picture above is to show you where the connection is on the screen. Aspect Ratio :WXGA HD Wide screen LED Blacklight- The LED connection is a single flat connector that goes at the. Screen Type:LED LCD. 8,000 Laptop Screen Part Numbers Listed. Screen Finish:Matte / Anti-Glare. Aspect Ratio :WXGA HD Wide screen LED Blacklight- The LED connection is a single flat connector that goes at the. Resolution:1366 x 768 Pixels (WXGA HD). Screen Type:LED LCD. 8,000 Laptop Screen Part Numbers Listed. Notebook manufacturers use different types of screens when assembling a single model of laptop. Laptop Dc Jack. Type:Laptop Screen. Resolution:WXGA HD (1366 x 768). Laptop Screens. Laptop Adapters. Laptop Hard Drives. Notebook manufacturers use different types of screens when assembling a single model of Laptop. This norm dictates an acceptable 2-5 dead pixel. 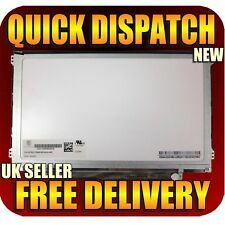 Aspect ratio:HD WXGA Wide screen LED Backlight - The LED connection is a single flat connector that goes on the back of the screen. Aspect ratio:FHD, Wide screen LED Backlight - The led is basically one Flat Golden connector that plugs at the bottom right of the screen. Screen Type:LED LCD. The Picture above is to show you where the connection is on the screen. Notebook manufacturers use different types of screens when assembling a single model of Laptop. Screen Finish:Matte / Anti-Glare. This norm dictates an acceptable 2-5 dead pixel. Screen Type:LED LCD. Type - Complete Assembly with Case. Screen Size - 11.6". Removal of Screen Video Help. Item Specifications. Type - Screen & Touch Digitizer Included. Screen Size - 11.6". Removal of Screen Video Help. Connector Location - Bottom Right.